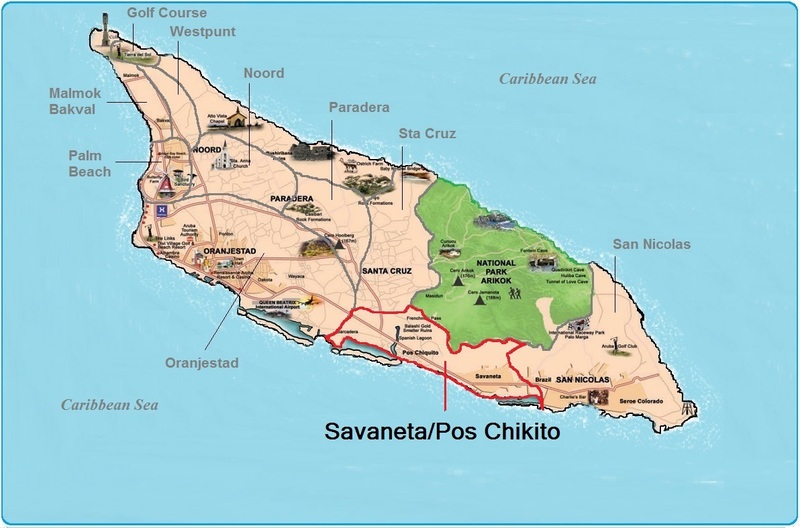 Savaneta/Pos Chikito is located in South West of Aruba and to date still remains the Islands oldest town is of the same name, Savaneta. Once home to the Dutch, Savaneta was recaptured in 1861 and has now transformed in to a fascinating fishing village containing deep cultural history which makes this region a true credit to Aruba. This sleepy fishing town was the former capital of Aruba and also holds some fantastic tails of long marine history. The feel is very informal and on arrival you will notice several fancy restaurants, an array of colorful town houses and a stunningly peaceful environment found throughout the region. The real estate on offer in this historical area is luxurious and there is something suited to all individuals needs, requirements and budgets. From fantastic beach front villas, modern stylish condos and vibrant and colorful town houses you really will be spoiled for choice. There is also a vast amount of vacant land available which is ideally suited to the people carrying the desire to build there dream home from scratch. So what ever your individual requirements, from location or style to size, thee will be something perfect for you and your family. If all of the above is still not enough to tempt you into visiting this amazing part of Aruba, then add in a near perfect climate, breathtaking scenes of nature, glorious white sandy beaches, deep cultural history and a wonderful array of activities such as snorkeling, scuba diving, hiking and exploring we will guarantee that every day of your visit here will be filled with fun, adventure and great holiday memories The area also borders with the National Park Arikok. 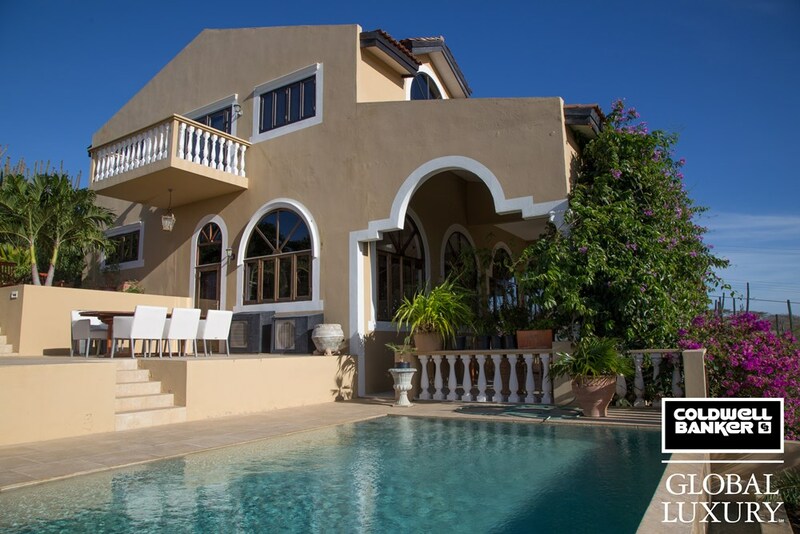 Potential buyers often choose this area of Aruba to purchase real estate not only for its huge amount of activities but also for its luxurious living conditions and truly life changing atmosphere. Beach front villas offer new buyers views of some of the most glorious and sought after beaches in the world and stylish town houses will place families in the height of activity close to the transportation links for schools. The copious amount of real estate on offer in Savaneta allows new buyers to choose the perfect setting for their new home and properties can be found in quiet and secluded areas along with lively and bustling ones. Moving abroad is a life changing experience for the whole family and although it is very exciting there are also many factors that need to be considered before finally making the big move. Things like job opportunities, schooling, environment and location are all crucial contributing factors and if considering Savaneta, don�t worry as it ticks all the boxes when it comes to providing you the perfect place to relocate. Aruba has rapidly become a huge tourist destination and its population is ever growing providing a great opportunity for people seeking work or thinking of starting a new business. Aruba and its surrounding regions have plenty of fantastic schools which are suited to children of all ages so you can rest assured the little ones will be well catered for. Another factor to consider when thinking about the children is that the near perfect climate encourages families to spend much more quality family time together and the sunshine frees up more hours in the day for you and your family to get out and about to enjoy all the wonderful activities that Saveneta/Pos Chikito offers you. The locals here are so friendly warm and welcoming that new expats quickly feel part of the new community and their new relaxed lifestyle allows them to see the world in a completely different light. 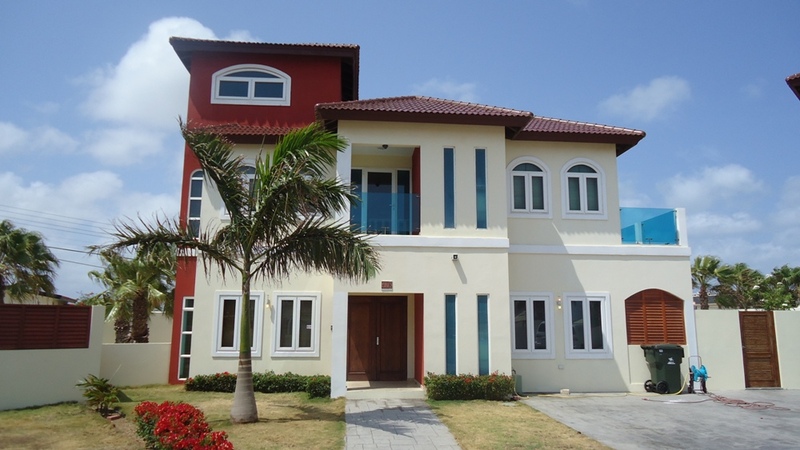 Aruba�s real estate market is bustling and the vast amount of property on offer in the region of Savaneta/Pos Chikito means that every individual will be catered for no matter how big or small there budget is. The beach front villas offer new buyers views that they could have only ever dreamed of and the stylish modern condos are located in small gated communities ensuring extra safety and piece of mind. Town houses can be suited to all families no matter what their size and are located near all the local amenities and transportation links making it more convenient for families with children of school age. Savaneta also offers potential buyers copious amounts of vacant land for people wishing to design there very own dream home from scratch and a large amount of commercial premises for people wishing to start a business. So it is safe to say that no matter how big or small your needs, requirements or specifications are there is a place with your name on it in Savaneta. What ever your reasons are for travailing to Savaneta, visitors here are guaranteed one thing, fantastic memories to cherish for the rest of their lives. Whether it's a business trip, family vacation or spending quality time with your loved one its safe to say that all holiday requirements will be fulfilled and they will not be left disappointed. For the romance seekers, the breathtaking nature is an attraction in itself but add in fine dining and moonlit walks along some of the worlds most glorious beaches and you will agree that romance will definitely be back in the air. For the families looking for excitement and adventure you will find daily activities to keep the whole family entertained and enrolling your bunch in these wonderful adventures will instantly unite you as a family creating a truly unforgettable vacation. Nature and history lovers are also well catered for as this region is steeped in history and features amazing wildlife providing the perfect environment for exploring. So what ever your interests are whether your a lone traveler or in a group there just simply wont be enough hours in the day! Aruba Bob Snorkeling - This fantastic company gives both beginners and experienced divers the opportunity to explore under water with scooters. Snorkel off Mangle Halto Beach to a world full of adventure in the form of vibrant corals and magnificent marine life. Snorkel alone or in a group depending on your travailing needs but please note a booking is required. Marine life is not the only thing on offer in this area as you also get the chance to zip through an old ship wreck and Barracuda. A once in a life time opportunity that is a must do experience. 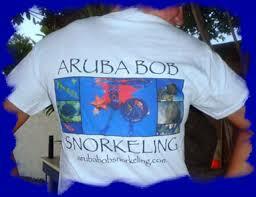 Aruba Sunrise Tours - Join owners, Arias and Jeritza, on there adventure of nature and animals. This passionate pair provide guests with a truly memorable experience and pride themselves on being the best tours guides in Aruba. The tours begin at 6am and take you on an adventure through some of the most remote parts of the island including Black Beach, National Park, Boca Grandi and Natural Pool. In addition to the tour itself Arias has another secret passion of kite surfing so all guests are offered their first kite surfing lesson with this passionate local. Mangel Halto Beach - This beautiful beach offers visitors the perfect opportunity for snorkeling and the vibrant array of fish you can witness is outstanding. Visitors here can enjoying swimming in safe calm waters and its private and pristine location makes it the ideal place for quality family time or romance with a loved one. On arrival at this beach you have the option to enter from the dock itself or walk down a small staircase to this paradise beachfront laced with pure white sand and swaying Mangrove trees. Visitors who have been lucky enough to visit here say it offers some of the most breathtaking views of Aruba and the tranquil and peaceful environment is mesmerizing. The Palapas and Mangrove trees provide visitors with shade but please note there are no amenities nearby so a packed lunch is advised. 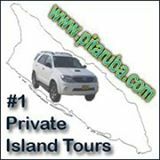 Private Island Tours Aruba - A Fabulous tour that is designed complete for your luxury and convenience. Arrange your very own Island tour and forget about the worry of having to read a map. 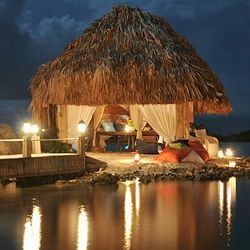 Island tours will pick you up from any well known destination and take you anywhere you desire. The knowledgeable local drivers offer personalized and professional tours and will pretty much do anything you desire even if you fancy stopping for a bite to eat. Please note that you must book a tour in advance and these tours are extremely popular so an early booking is recommended. A true insight of the history, culture and politics of Aruba all designed around your individual traveling needs. 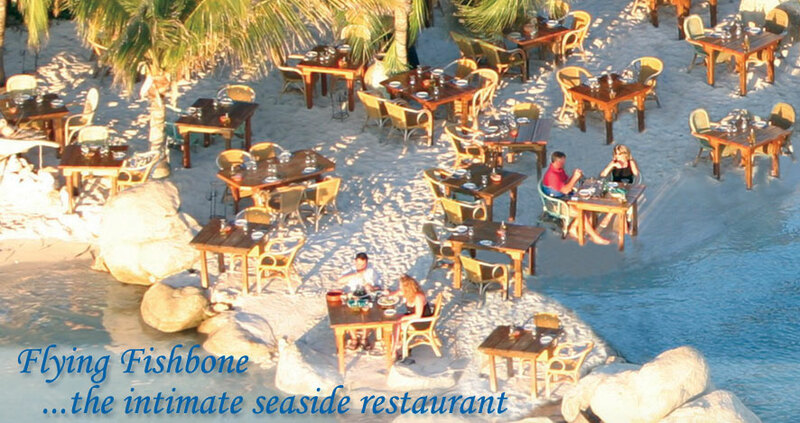 The Flying Fishbone - Imagine dining right on the beach front whilst taking in some simply breathtaking views. Well here at the Flying Fishbone you can dip your toes in the sand and splash in the water all whilst listening to the swaying palm trees. The menu here is outstanding and offers diners a fine selection of seafood and steaks all laced with plate presentations. The Flying Fishbone offers travelers a true taste of Aruba and its popularity is shown by the fact advanced bookings are essential. Where else could you experience the mouth tingling flavors of Aruba while basking in Savaneta's glorious waters. Aruba offers one of the most glorious climates in the world and many tourists flock here yearly to soak up these glorious rays. Travelers are pretty much guaranteed days full of sunshine and warmth no matter what time of year they travel as even in the winter months the temperature only drops by a few degrees. The average daily temperature is around 29 degrees. The most preferred time to travel to Savaneta/Pos Chikito is actually in the winter as many tourists like to just take the edge off those extremely high temperatures. Aruba Island also lays in the path of the trade winds which many tourists actually favor as there is often a gentle cool breeze. Please note that the slight breeze in Savaneta can be very deceiving and the sun is still extremely hot so suncream is recommended at all times. Sevaneta does experience some rain in the months of November through to January but this rain comes in short sharpe showers and within minutes the sun is out shinning again and these showers do not effect travelers vacations. The closest serving airport to Savaneta is the Reina Beatrix Airport which is situated just over six miles away. Reina Beatrix is a well known international airport and brings thousands of visitors to Aruba every year. Well known and respected Airlines fly to and from this airport so there is plenty of choice when looking for a flight to Aruba. Once you have arrived in the wonderful part of the world you will need to think about your forwarding transportation to get you through to Savaneta itself. Situated right on Reina Beatrix's door step you will see several taxi ranks waiting on new arrivals and local car rental companies for those travelers who wish for more independence while on there vacation. Either option is easily arranged and can be done instantly on the spot. For people wishing to get out and explore Aruba and all its glory then car rental, taxis and buses make this easily achievable. If you are joining the many expats here in Aruba and have decided to search for the perfect property within the Savaneta/Pos Chikito area, it will definitely be helpful to you to consult an expert real estate agent. It is always advisable to speak with a reputable and reliable agent so that you are fully aware of the whole process of purchasing on the island, which may be obviously different to that of your home country. Savaneta/Pos Chikito is a truly beautiful part of the world and is best suited to people wishing to grab new experiences by the hand. The atmosphere and culture found in this region is remarkable and offers all new expats a completely different way of living. Steeped in deep cultural history, this entire region has a true story of its own to tell that gives you a intriguing insight on Aruba today. Don't be fooled by the fact that Sevaneta Village is referred to as a sleepy fishermans town as the colorful and vibrant real estate found here will certainly open your eyes. The huge array of properties available in this region offers nothing less than first class living. Stunning luxury villas, beach front condos and private homes are amonnst the choice home buyers have. If your wishing to sample the high life then Savantea and its simply luxurious properties are definitely the way to do that. A perfect climate of warmth and sunshine all year round is a dream for many and here in Savaneta that dream can turn in to reality.